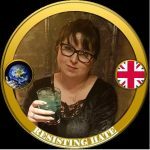 At Resisting Hate we often see far right accounts use lies to attempt to push their hate agenda but this lie was so blatant that we wanted to bring it to the attention of a wider audience as it is important for the general public to understand that these haters will stop at nothing to con people into believing their lies. 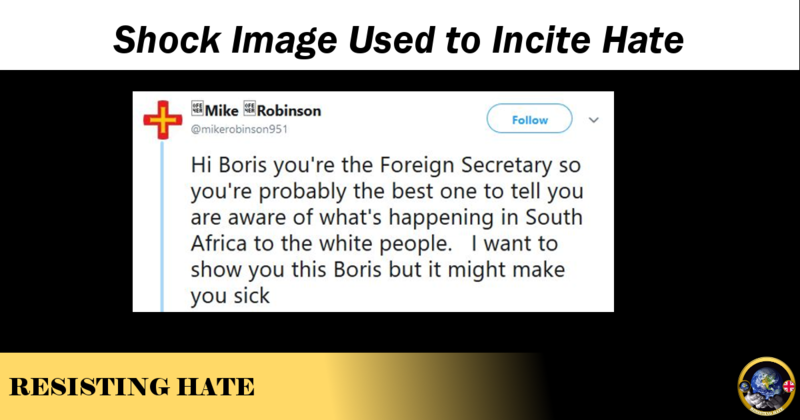 Account @mikerobinson951 actually had the gall not just to post this lie on a social media platform but to direct the tweet at a member of Parliament. 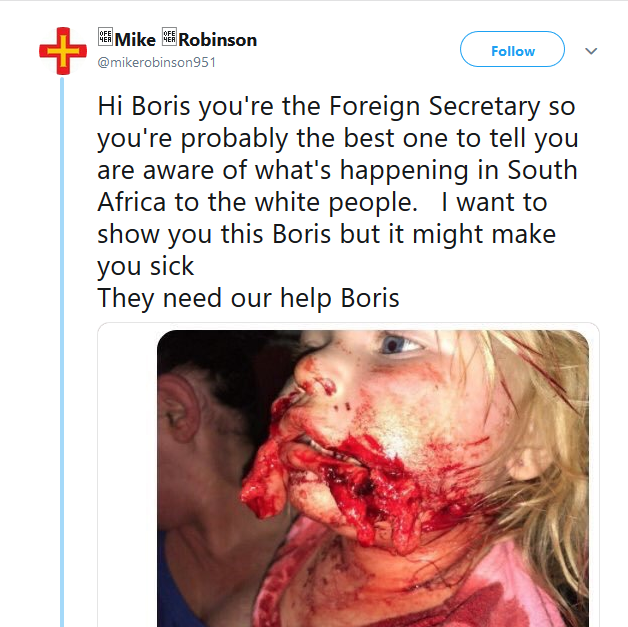 The picture in the tweet (as a quick Google search would have found, had ‘Mr Robinson’ been bothered to check) is young child who has been attacked by a dog. The photograph was originally posted on 4Chan and then by another hater on Twitter, with the allegation that it was a racial attack in South Africa. Snopes clarified that the photograph was a dog attack and posted further pictures of the injuries and follow up pictures of the little girl as her wounds healed. Emotive images like this are posted to try and manipulate people toward an agenda. It is impossible to see a beautiful little girl injured like this and not feel a powerful emotional reaction. 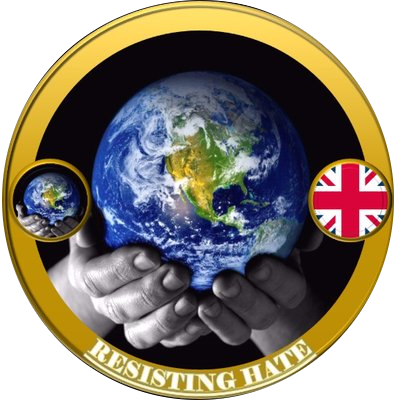 The far right then channel that emotion into anger at the ‘person’ who has harmed the child. In this instance the image was used to incite racial hatred toward the black community in South Africa. The author of the tweet either knew the origin of the image and chose to ignore it in favour of promoting a lie or he couldn’t be bothered to check the truth of what he was posting. Either way this is a cheap trick designed to shock and exploit people who encounter it. Unacceptable behaviour in our view.